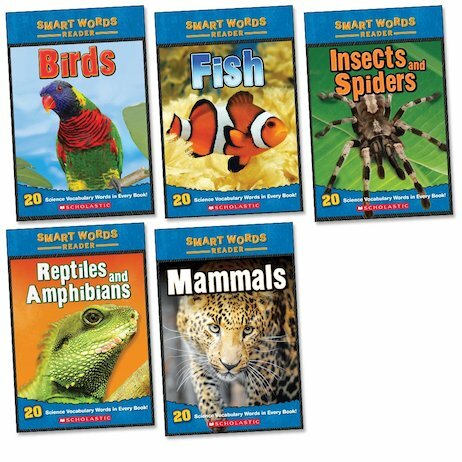 From the Smart Words series, this pack of books is a fantastic introduction to all things nature! Learn about all of the members of the animal kingdom and build your scientific vocabulary as you read! With individual books exploring birds, insects, mammals, fish, reptiles and amphibians, it won’t be long before you’re an expert on every type of animal. Learning about science and building your vocabulary is twice the fun with these engaging, fact-filled readers.